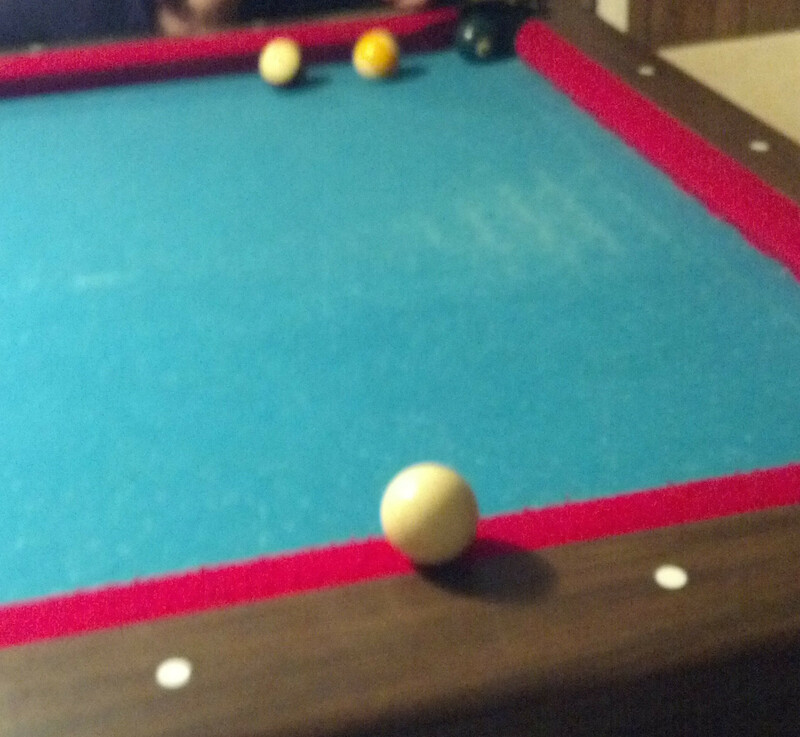 In reference to the image below, the cue ball rested on top of a rail after my opponent attempted a shot. During a different game, I shot the cue ball on top of a rail (to avoid other solid and striped balls) and nearly converted a shot. Would the cue ball on top of a rail still be considered legal and playable? Would this be considered a scratch? If the cue ball is shot and is resting on the rail, it is considered not in play. According to the United States Professional Pool Players Association Rule 3.b, this occurrence would result in a break foul. The ball has to finish up on the table, or in a pocket, for a shot to be legal. I once had a pot hit the corner pocket too hard - sending the ball up onto the cushion rail. It raced along said rail before plunging delightfully into the side (middle) pocket. I knew it was OK in snooker, and the TD said it was fine in USA 9 ball too.